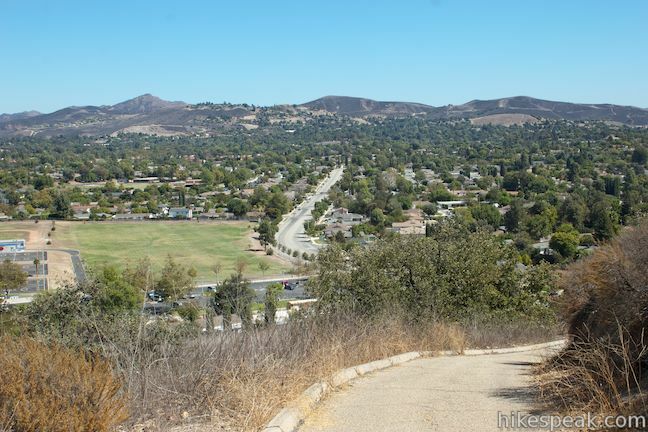 The foreboding sounding Tarantula Hill, which also goes by the more welcoming name of Dawn’s Peak, is a small, isolated mound in Thousand Oaks that hikers can summit for views over the Conejo Valley and into the nearby Santa Monica Mountains. 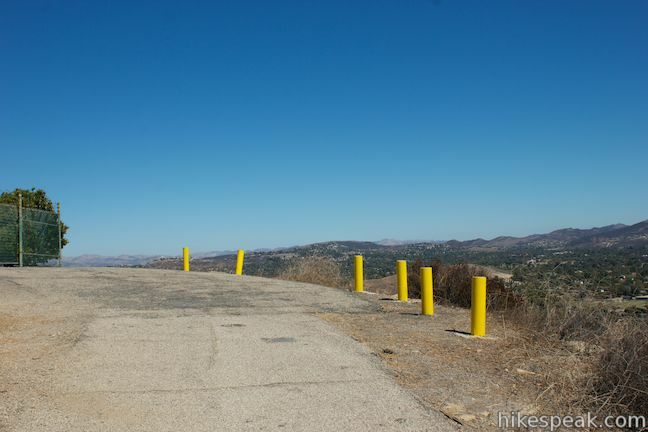 If your spider senses are detecting pavement, that’s because the entire half-mile-long trail up Tarantula Hill is paved. 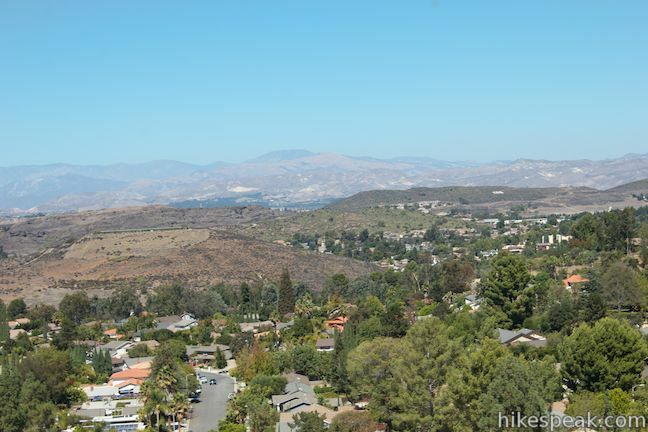 While Tarantula Hill Trail might be hard on your legs, the 360-degree views are easy on the eyes. 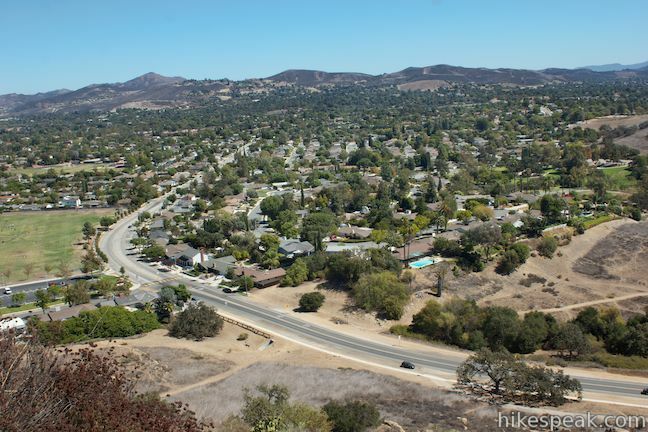 The hike up Tarantula Hill is one mile round trip with 275 feet of elevation gain. 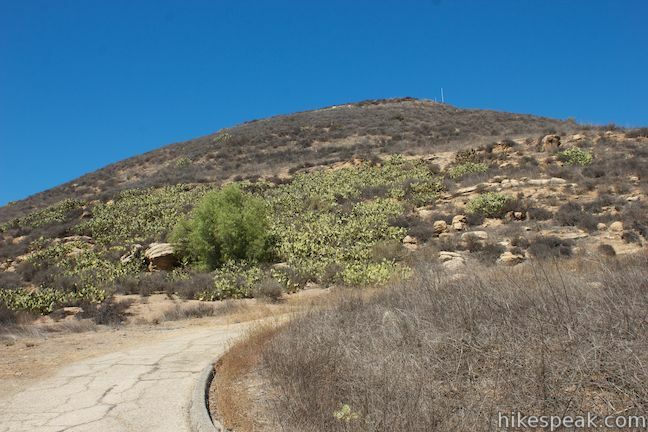 From a trailhead along Gainsborough Road, where roadside parking is available, Tarantula Hill Trail heads southwest, roughly parallel to the road through cacti and low grasses (that tarantulas are known to inhabit). 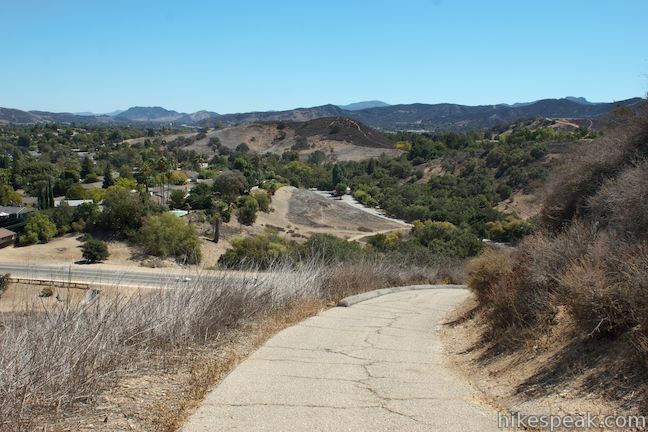 After a horseshoe bend to the right, the paved road begins to climb, spiraling counterclockwise up Tarantula Hill. 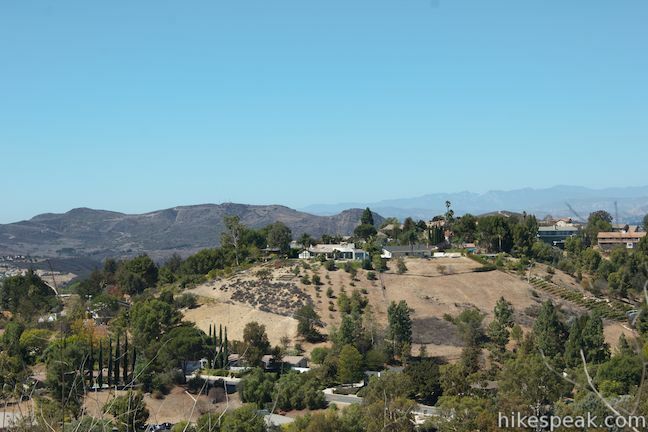 The views are constantly rotating as you wind your way up Tarantula Hill, starting with views to the south and east toward the Santa Monica Mountains. A quarter mile from the start, the road passes a dirt path on the right, just before slipping between a pair of oaks. This path can be used as an alternate route to the summit for those who prefer less pavement, trimming the ascent from 0.5 miles to 0.4 miles. 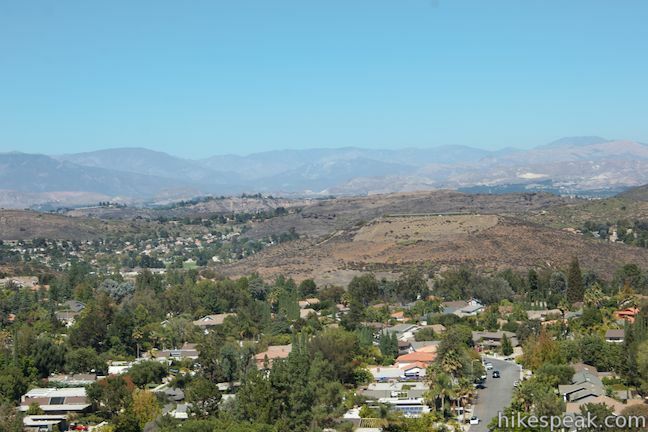 Past the oaks, the trail rounds up the north side of Tarantula Hill for new views across Thousand Oaks toward the Topatopa Mountains in Los Padres National Forest. Step over or around a chain that crosses the road at 0.35 miles from the start, and continue up the wide paved trail. 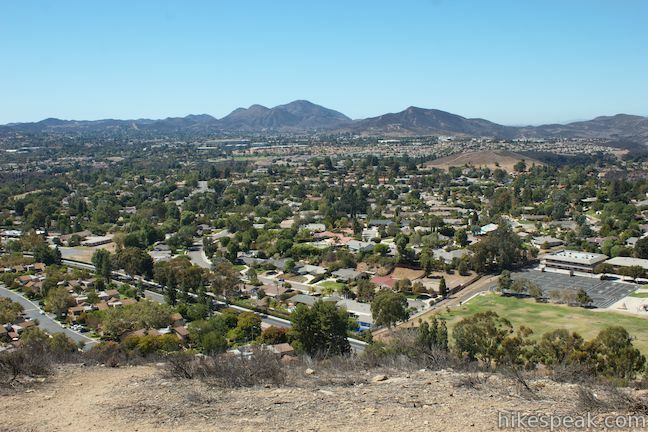 You’ll curl up to the west side of the summit for views across the Conejo Valley. 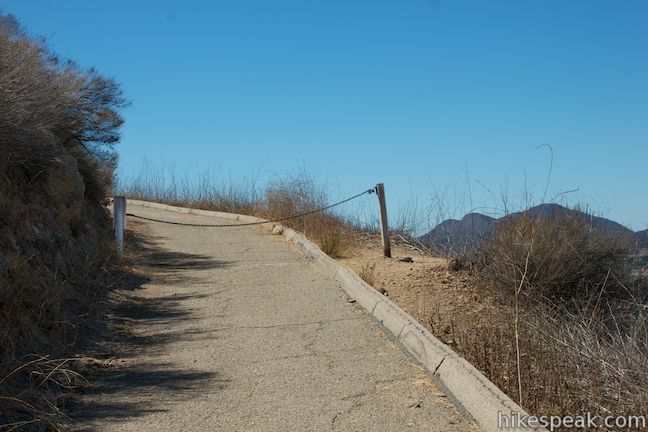 Continue to spiral up and to the left, crossing the south face of the hill to reach views to the east as the trail comes to an end at the summit of Tarantula Hill. The pavement ends alongside a water reservoir, which is fenced off. Leave the trail and follow a path west around the facility to a bench at the 1,057-foot top of Tarantula Hill. 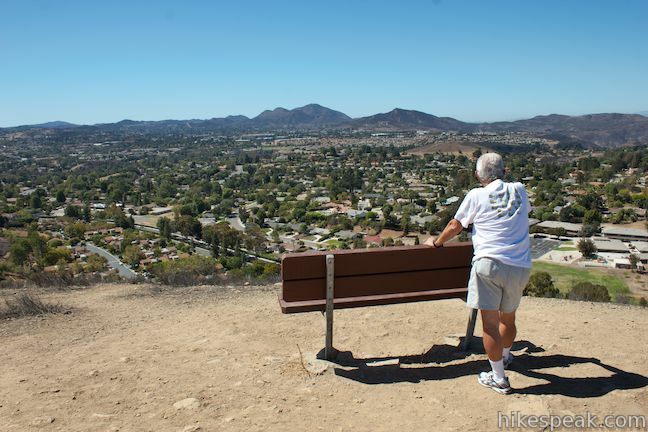 The bench offers a restful view west toward Newbury Park and south into the Santa Monica Mountains, where the trails to Angel Vista can be seen. 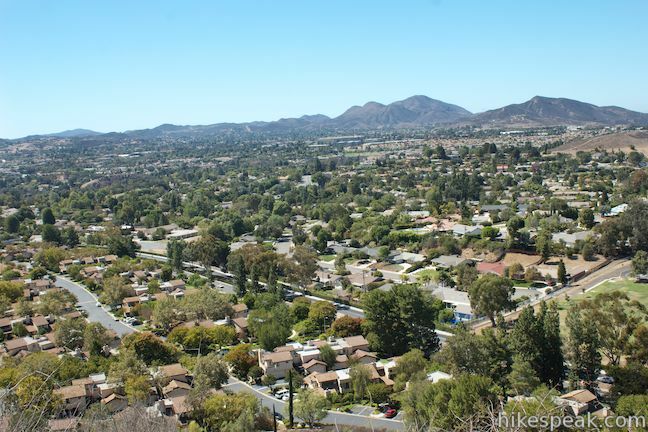 The 45-acre open space that preserves Tarantula Hill is bordered by houses on three sides and the Conejo Valley Botanical Garden on the south side, which extends this undeveloped pocket in Thousand Oaks. 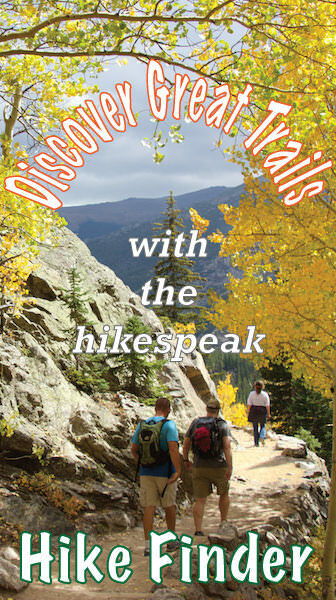 Return the way you came for a quick 1-mile round trip hike with 275 feet of elevation gain. 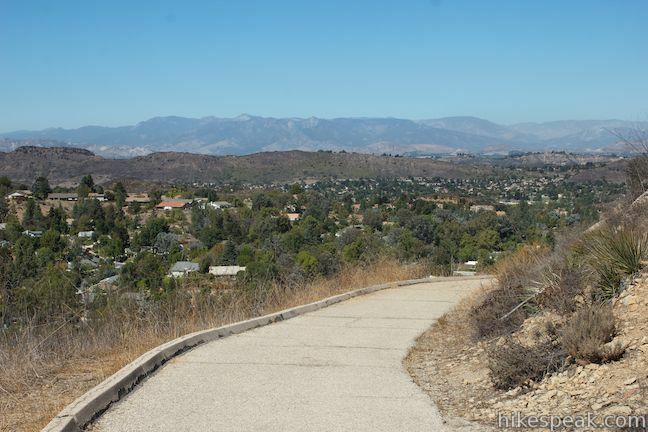 If you prefer to take the dirt path at the start of the hike instead of the paved trail, walk a few hundred feet east from the trailhead along Gainsborough Road road and turn left up a path that climbs the slope below Tarantula Hill. 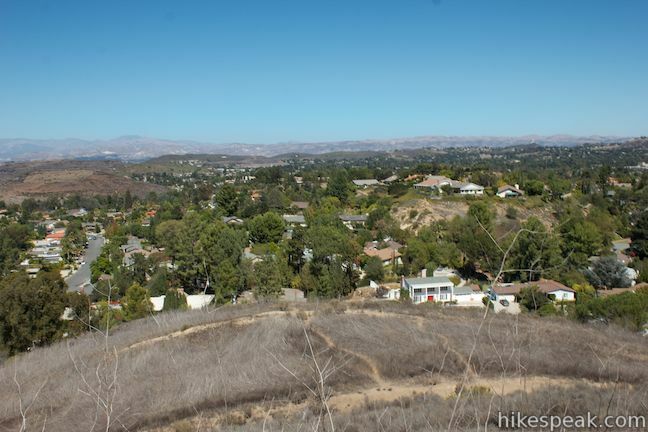 In a tenth of a mile, turn left at a junction and follow the path up to Tarantula Hill Trail by the cluster of oaks. 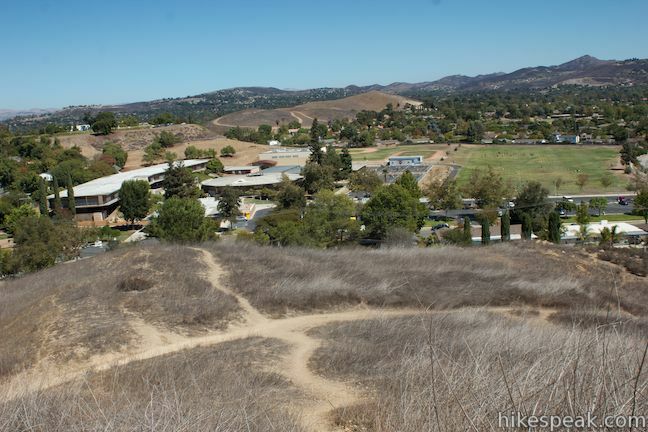 Dogs, bikes, and horses are welcome on Tarantula Hill. 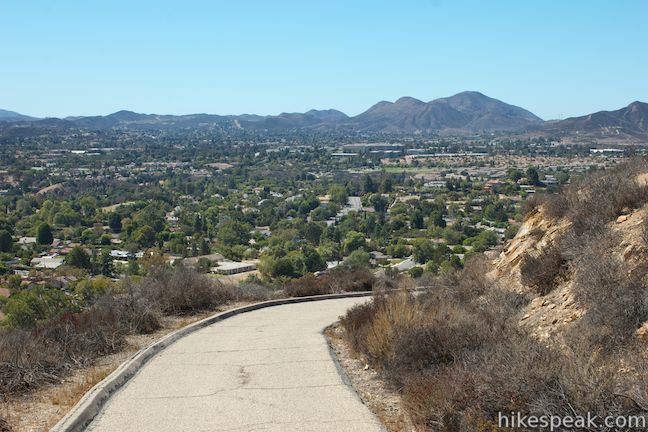 Those looking to walk farther can check out the Conejo Valley Botanical Gardens, which are across the street from the trailhead for Tarantula Hill. 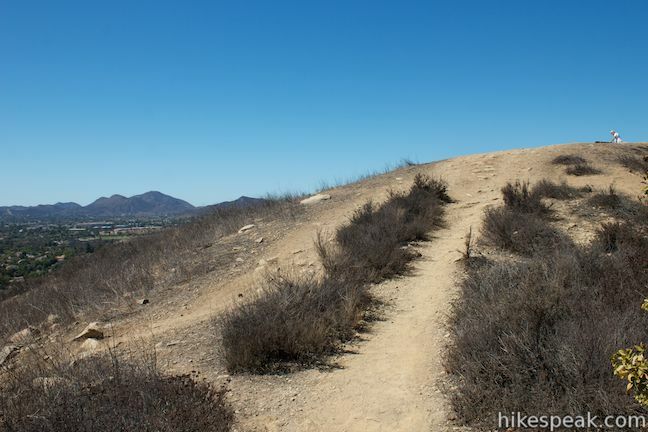 No fee or permit is required to hike Tarantula Hill Trail, so get out and enjoy! 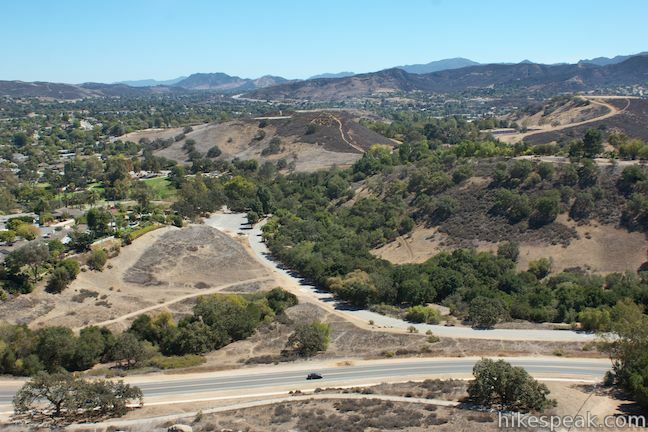 To get to the trailhead: Take the 101 Freeway to exit 45 for Lynn Road. 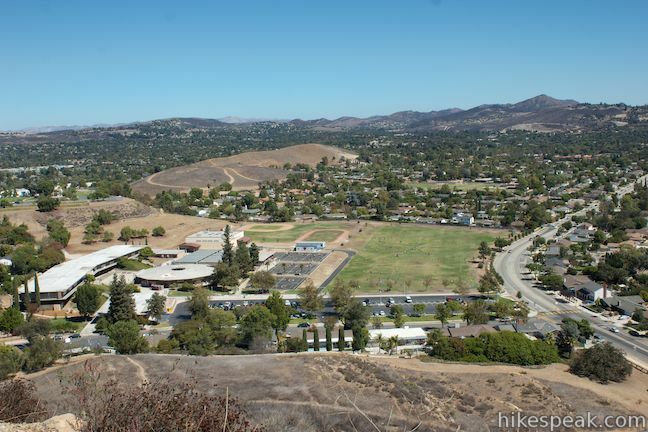 Turn north from the offramp and take Lynn Road for 3/4 of a mile to Gainsborough Road (across from Camino Dos Rios). 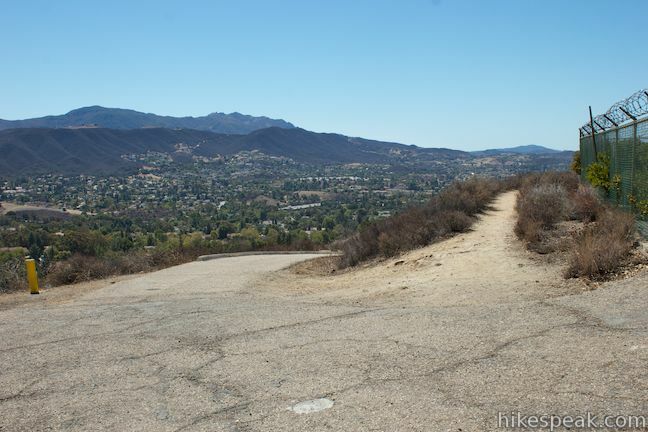 Turn right at the light and drive another 3/4 of a mile to the trailhead, which will be on the left (just past the road on the right into Conejo Community Park and Conejo Valley Botanical Gardens). You may want to make a U-turn before parking along the road. 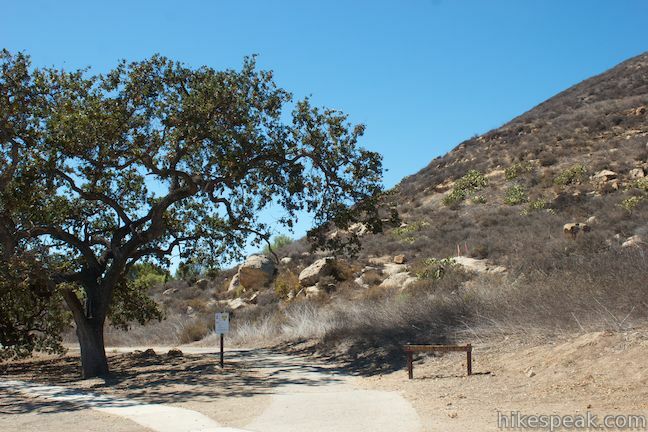 A wide wooden sign on the right side of the trailhead reads, “authorized vehicles only.” A white sign on the left of the trail, posted by the Conejo Open Space Conservation Agency, lists the guidelines for the Conejo Open Space. This 40-foot waterfall spills into a large pool along the Arroyo Conejo. 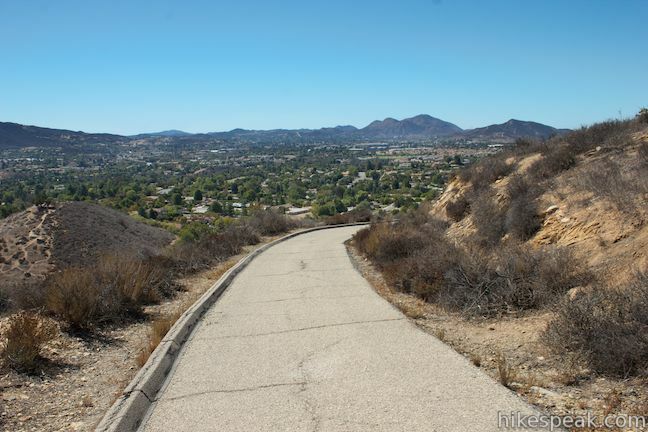 Paradise Falls is located within Wildwood Park in Thousand Oaks and is reachable via several trails. I am glad the city finally opened the area up to the public. 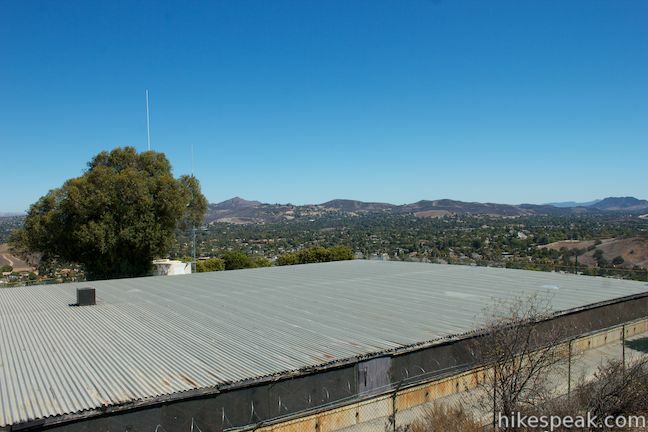 For many years there were no trespassing signs there to keep people off the hill, I guess due to the fact that there was a water tank at the top of the hill.